Registration will open on 12/9/17 and close on 4/1/19. Registration age groups are outlined below. It is encouraged they play at that level, although that is completely up to you and can be based on your girl’s ability. So if she needs more development in the age group she participated this fall, feel free to register her with a same age group. If your daughter is maxed out and you want to move her up one age group, then feel free. 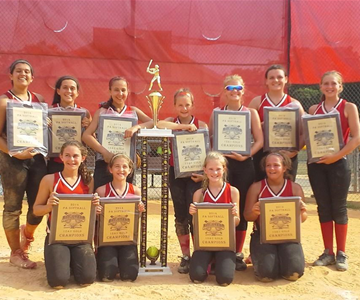 Please scroll down this page for Softball divisions and registration. Age divisions and number of teams will be determined by the number of registrants.